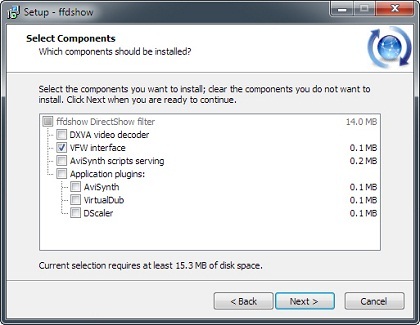 Hi everybody, in this tutorial, you’ll to learn how to install ffdshow encoder and how to export compressed video in Aurora3D’s Products. 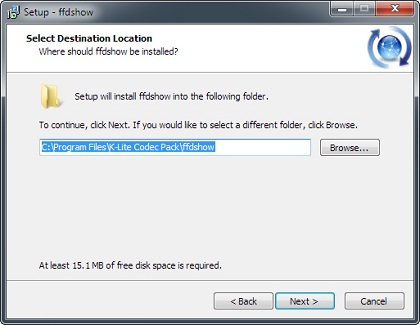 First, you need to download some the third part encoder and install it. 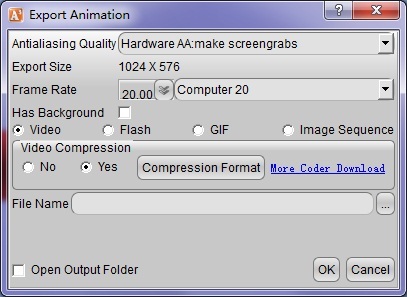 then, you can select more compressed file formats when export video. 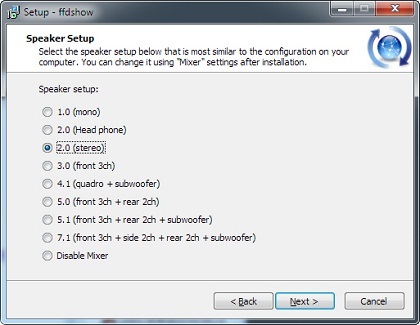 You can choose 1 or 2 codec to download it. 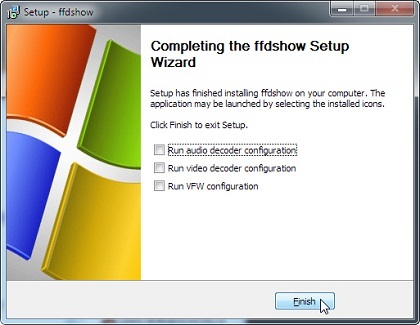 We’ll introduce the course of FFDShow installation, and the course of other codec are similar of this. 1. Run the installation, and select destination location. 2. Select components that you need to installed. we just use default. 3. 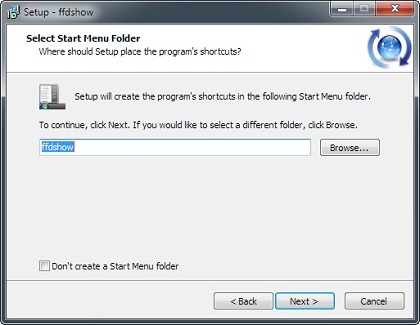 Select start menu folder. 4. 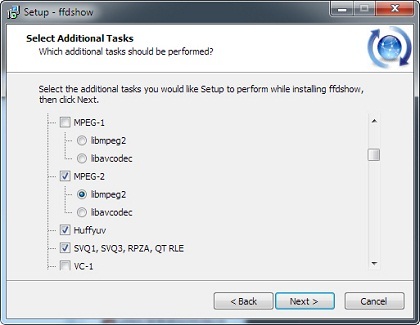 Select the additional tasks, in this step, we need to check some encoder in this list. Such as: MPEG-2, WMV, DV, and so on. 6. Install successful. if pop-up some dialog about register fail or other information, you need close your other application and re-install it. or restart your computer and try it again. 7. 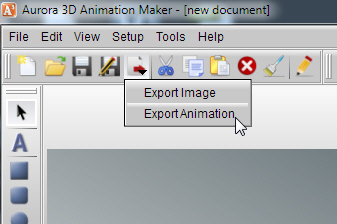 If you want export video, flash or gif, Select the function: “Export Animation”. 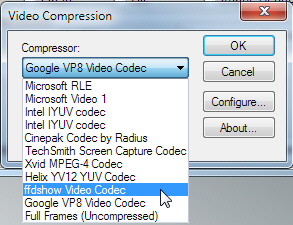 8. when you need export compressed video, select “video compression – yes”, and click “Compression Format”. 9. 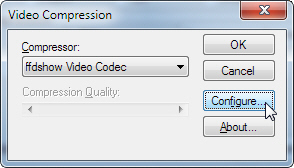 Then, you can see the “Video Compression” dialog, select the encoder that you want. 10. Configure the encoder you are selected. 11. Maybe different encoder has different config, but both of these are simple. 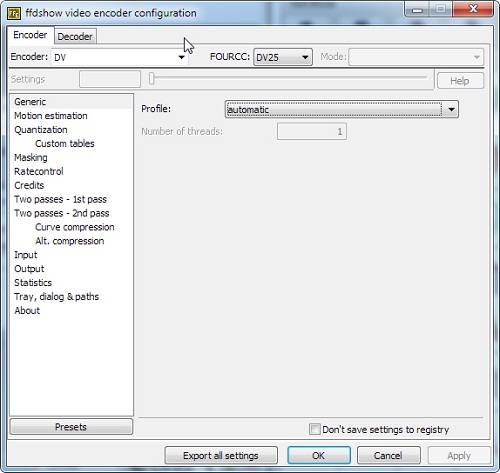 Select encoder type or adjust some quality. 12. When we finished these steps, we just select the destination location for the export file. and click “OK”. Thank you everybody, If you have any question, contact us.